It’s that time of year again Mountain Standard Time goes into effect at 2 a.m. Sunday morning. If you neglect to change your clocks, you might miss out on that extra hour’s sleep tomorrow. But if you neglect to change the batteries in your smoke and carbon monoxide detectors, the consequences could be much more dire. 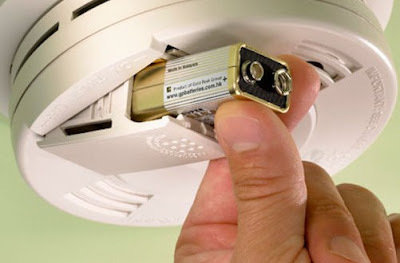 Two out of three deaths in house fires occur in homes without working smoke detectors, according to the International Association of Firefighters. And an average of 184 people die in the U.S. every year from accidental carbon monoxide poisoning associated with consumer products, including portable generators, the U.S. Consumer Product Safety Commission says. When you change your clocks, it’s a good time to change the batteries in your smoke detectors and carbon monoxide detectors. “Smoke and carbon monoxide alarms save lives by sounding a warning before you might otherwise know there’s a fire or a buildup of carbon monoxide,” Riverhead Fire Chief Joe Raynor said. But they can’t do their job if the batteries are dead. In addition to changing the batteries twice a year, when you adjust your clocks, you should also test the detectors monthly, the chief said. And they should be replaced every five years, according to fire safety officials.